Since the industrial revolution, industry, traffic and the manufacture and application of nitrogenous fertilizers have increased carbon dioxide emissions and accelerated the nitrogen (N) cycle. The combined effects of a warming climate, CO2 fertilization, land-use change and increased N availability may be responsible for primary productivity increases in many parts of the world. Enhanced productivity may lead to shifts in albedo and transpiration, which feed back to the water cycle through heat fluxes and precipitation. Plants may also respond to elevated CO2 by closing their stomata or by structurally adapting their stomatal density and size, which potentially diminishes transpiration. Intensification of agriculture has also led to an increase in both nitrogenous (N) and phosphorus (P) fertilization. The combined effect of atmospheric N deposition and P fertilization has distorted the balance between N and P availability in many ecosystems. The active role of plants in accessing nutrients from the soil may trigger switches in nutrient availability, triggering shifts in plant productivity and species composition in these ecosystems and therefore also in the carbon (C) cycle. In response to global change, the above plant responses may influence each other positively or negatively and may impact on the elemental cycles of C, N and P and the water cycle. We are only beginning to understand how these four cycles interact, the role of plant processes and vegetation in these interactions, and the net outcome for plant competition, vegetation distribution, landscape development and directions of global change. In this paper we have integrated a number of recent research findings into known relationships that together elucidate interactions between these cycles through vegetation, and could potentially have unexpected effects on landscapes and larger-scale systems (continental, global). 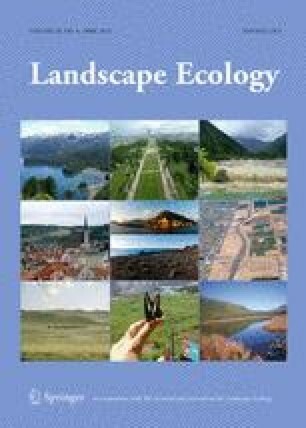 These interactions include processes operating at very distinct temporal and spatial scales, in which terrestrial ecosystems and their spatial organization in the landscape are key. We argue that to better understand the effects of changes in land cover and land use on biogeochemical and biogeophysical fluxes, it is necessary to account for feedbacks via vegetation and how these interfere with elemental cycles. Finally, we suggest directions for further research to fill the current knowledge gaps. We thank Emmy Lammertsma and Rike Wagner-Cremer for kindly sharing data and photographs of Fig. 2. We thank Margot Stoete for redrawing the figures. J. Burrough was the language editor of the near-final draft.